Oh yes, i got to post something from time to time here. 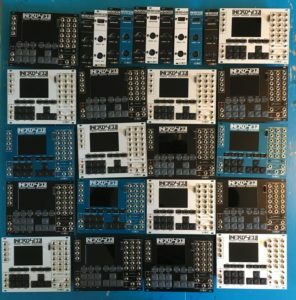 The NerdSEQ is on the market and some units have already been shipped. Though i am still busy getting the production running i add some to the stock every few days. The NerdSEQ is available at Schneidersladen which i really cool, too!! So stay tuned and keep checking if there is no stock, i will build it up in the next weeks.